Sigma's Art series has become synonymous with quality at a lower cost. My own experience with their Art lineup is that the lenses are generally heavier than their competition but cost significantly less, sometimes they even shake up the entire market. How much is too much weight though? Matt Granger takes a real-world look into the Sigma's newest lens and compares it to Nikon's relatively new lens in the same category. At nearly $1,600 the Sigma is not inexpensive by any means but it is $600 less than the Nikon equivalent. The lens is also available for both Canon and Sony mounts which adds some unique choices for anyone in the market for a new portrait lens. The results are quite impressive but is the extra weight and lack of internal stabilization worth the price difference? If you aren't shooting on Nikon, is this a portrait lens you'd consider? I would love to hear your opinion in the comments or your current favorite portrait lens. hi, I think that you don't calibrate sigma lens with sigma dock! nikon price is only for brand. sigma use more material then quality is first for them. The weight difference between the two lenses is very high though, wouldn't you agree? monopod created for this situation. (lens don't have stabilizer and need monopod, football world cup photographers used huge lens over 90 mins only with a monopod.ok? ) u can used dxomark for lens rating . sigma is first. I don't say reasons here you know and others can study. While it's true that a fair portion of the Nikon's price comes from the brand name, I wouldn't say that it's ONLY because of the brand name. The Nikon 105mm f/1.4 is a genuinely excellent lens. After watching the video, however, the Sigma is no slouch at all and given how minute the differences between the two are, I would say that it is the far better value which shouldn't really be a surprise to anyone at this point. "At nearly $1,600 the Sigma is not inexpensive by any means but it is $600 less than the Nikon equivalent." I don't think weight is a big deal on any of the two, I mean, these are not lenses you take when you go for a photography venture, they are specialty lenses and as such, this is my very personal guess, you take them to a shooting location and then you are done; still, the size and bulk would be intimidating for some kind of candid shooting which such focal lens would make fun to go through. 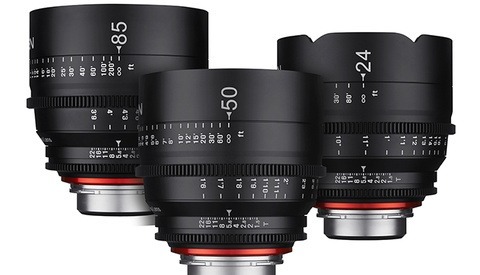 I think Sigma did well with all of its last iterations of classic focal lengths to compete with the counterpart at a competitive price, well done!!! To me a huge difference is you could fit the Nikon in a normal camera bag configuration. For the sigma, you’d have to make a special spot considering how massive that front element is. Actually the Nikkor 105mm F/1.4 is one of my main wedding lenses, this means that I can be carrying it for up to 16 hours and shooting it a lot over that period (my kit is SIgma 35mm and the Nikon 105mm). I can attest to the fact that on a long shoot the Nikkor gets heavy. I also shoot one body, no strap, so need the lens to easily and quickly go into my bag when hot swapping lenses, for this SIgma I would need a bigger bag. Having shot with nearly all the SIgma Art lenses I would have no reservations that this will be a great lens, but it might just be a little too much lens. I am a part time event photographer. For group shots i was considering Nikon 35mm FX which is about $1700. Is Sigma almost as good as Nikon. Please advise. The $1600 Sigma includes free unlimited arm workout. It's what Arnold Schwarzenegger would shoot. only bad thing about this sigma 105mm lens is filter size if u want photograph outdoor with professional lighting u need ND filter and I thing don't find ND filter for this lens.then this lens is good only for sport photography. This lens' tour de force is portrait work. It was made with the portrait shooter in mind. While any lens can be used for landscape shooting where an ND filter can come in handy, you wouldn't use an ND filter to shoot portraits. It's really too short for sports unless you're sitting on the sidelines at a basketball game and my guess is that anyone there with sport shooting in mind would be using any one of a number of excellent 70-200, or fixed focal length telephoto lenses. Or maybe a 100-400. Sigma will sell a lot of these, especially to Canon shooters that want a top flight portrait lens that fits between Canon's excellent f1.2/f1.4 85 or the aged but terrific 135 f2. I guess it could be, but I haven't seen it. HSS (TTL) system is a magic. I don't know why most of photographer with high level equipment of photography don't use TTL even some body that have d850 and best strop and even when put tutorial in youtube but when they want explain the the lighting at outdoor,it's used flash in manual mode. I don't know why!!! it's good for small gym photography. I have sigma art 85 f1.4 and art 24 f1.4. but i have problem with 85 because my camera is nikon d750 that shutter speed is 1/4000 max. if i want take photo at day time not only golden hour, i can't use wide aperture if i want lighting with flash and sigma 85 filter size is 86 that its filter is rare at least in my country and sigma F105 filter size is 105!!!!! it's a joke. of course 70 200 is good at range between 70 to 130 over that quality is not good. i prefer prime and sigma art 85 f1.4 is best for portrait and for indoor 50 f1.4 is good. I'm not sure what you mean, "....range between 70 to 130 over that quality is not good." My 70-200 f2.8 II L is very good from 70 through 200 and is a favorite lens among Canon portrait shooters. And, it's an outstanding sports lens. I used it today at a Challenger level tennis tournament. It gives very fast focus AND the flexibility to shoot from one spot and cover the whole court. Yes, the L primes are a bit sharper and probably focus a bit faster, but for the little bit of sport shooting that I do, it is quite good. And it is a very good portrait lens. If I had the extra cash, I'd have a couple of good primes for sure, but don't discount the excellent zooms out there. I shoot the Nikkor 105mm outdoors for portraits at f/1.4 all the time and due to the limited shutter speed on the D750 (1/4000) an ND is a must. One good thing about the Sigma I haven’t seen mentioned, it uses the same filter size as the 150-600mm Sport lens. 105mm. So if you already own the one and have a polarizer for it, you don’t have to buy that filter. That saves about $300 if you get a good one. 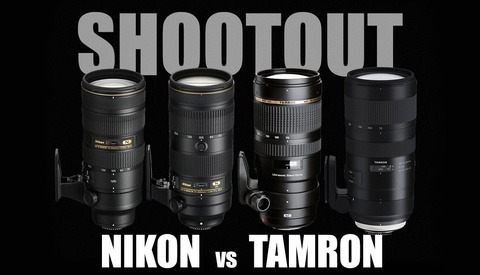 Both Nikon’s & Sigma’s are optically fine lenses. Weight vs cost...hmmm. No mention from Matt on the focus speed, which can be a huge issue for lenses trying to move this much glass (see the Canon 85mm f/1.2). I had the chance last week to test the Nikkor 105mm on a D750 against a dog fetching sticks and then running back to me. Shooting in continuous high speed and 3d tracking, and while it did drop some frames, it picked up again quickly and I was surprised at the keeper rate. Definitely fast enough for the wedding dance floor. I decided to buy the Sigma over the Nikon. It is the only non Nikon lens I own. Here is why. I tried the both at the same time. The Nikon is a very well built lens that does a great job. The Sigma is larger, heavier and $600 cheaper. If I thought for one moment that I was giving up any image quality, I would not have considered the Sigma. Neither have VR. Weight is not really and issue for me as I use big lenses and big cameras and just accept that for the best images, you have to go big. Sold all of my mirrorless Sony A7R2, A7R3 and all pro G 2.8 lenses because for best images, you need big glass and the smaller camera didn’t save me that much with the big lenses, great camera and lenses though. The results of the Sigma on my D850 is truly remarkable. Did not need any lens calibration. Sharpest images I have ever gotten, and right out of the box. Happiest I’ve been in a long time. You did try Nikon 105, 1.4? I have Nikon 105 macro. I dont have any non Nikon lenses. I just want to make sure that you actually endorse Sigma over Nikon. I will buy it. I find your comments most relevant.